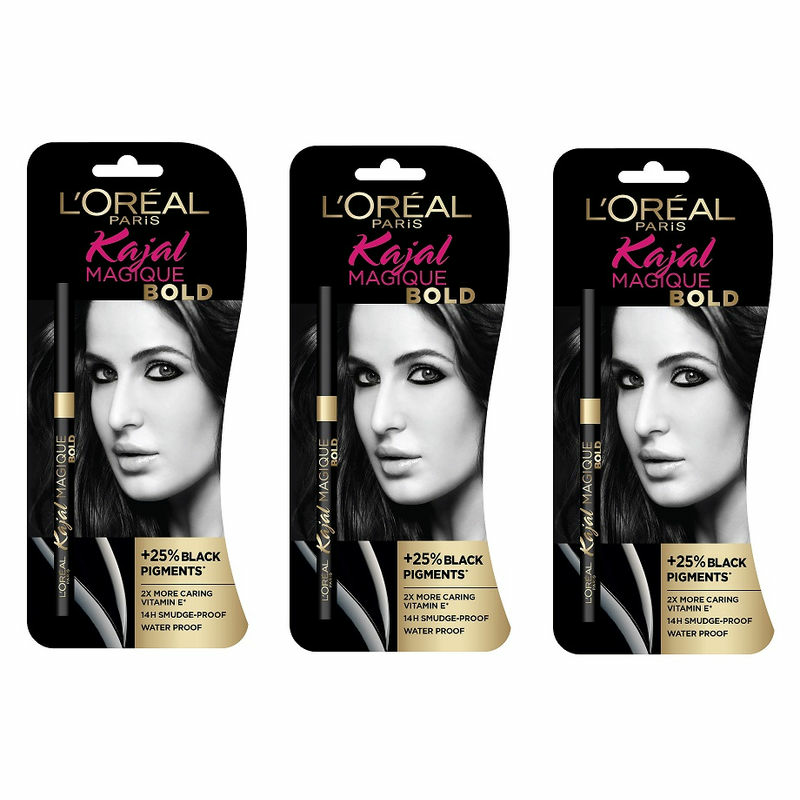 Discover Kajal Magique Bold by L'Oreal Paris - featuring the boldest kajal formula for the boldest look. With 25% more concentrated black pigments, each stroke glides effortlessly to deliver a vivid black line that stays put for up to 14 hours. Its formula contains 2x more vitamin E and is smudge proof, water-proof and non-transferable. About L'Oreal Paris:LOreal Paris is a total beauty care company that combines the latest in technology with the highest in quality for the ultimate in luxury beauty at mass. For most, the name 'L'Oreal' is immediately evocative of the brands signature phrase, "Because I'm Worth It. '?, is meant to inspire each and every woman to embrace her own unique beauty and reinforce her sense of self-worth. As the biggest beauty brand in the world, L'Oreal Paris has an unparalleled commitment to technology, research and innovation and providing groundbreaking, high-quality products for women, men, and children of all ages and ethnicities. 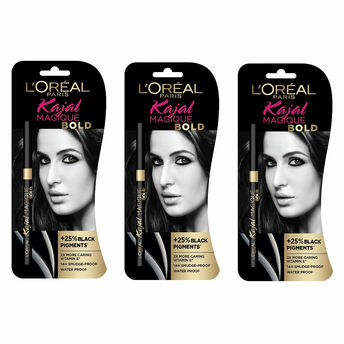 The LOreal Paris brand encompasses the four major beauty categories - hair color, cosmetics, hair care, and skin care ?" and includes such well-known brands as Excellence Crème, Total Repair 5 hair care, Youth Code, Fall Repair, Revitalift, Volume Million Lashes Mascara, Colour Riche lipsticks, Superliners and True Match foundations among many others.